The eBay Classifieds Group (eCG) is an innovative global leader in online classifieds. Our sites help people find whatever they are looking for in their local communities – whether it is a car, an apartment, a concert ticket, financial services or a new phone. Every connection made or item found makes a difference by creating a world where people share more and waste less. We have ten brands that span the globe offering online classifieds in more than, 1000 cities around the world. 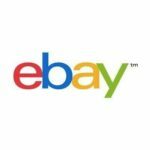 With more than 250 million active users and hundreds of millions of active product listings, eBay is the world’s most vibrant and dynamic online marketplace. eCG is always looking for talented, high-energy, self-motivated, committed individuals who are passionate about their work. Our team members enjoy a challenging environment that places the highest value on innovation, accountability and playing to win. Our culture is based on open and honest communication, respect for other points of view and a spirit of fun. Passionate about analytics? Excited about turning data into meaningful business insights? We are looking for a talented analytics leader to develop and grow a new team in the eCG Motors team in Berlin. This role in the Motors team will take a data-driven approach to objectively informing product and process decisions critical to success of creating a world class user experience and to achieving our commercial objectives. Reporting to the Director of Product & Design organization, you will lead a team of product analysts focusing on identifying and solving user experience, commercialization, and product issues by turning data into actionable insights. Curious, analytical, hypothesis-driven and fluent with data tools and sources, you will challenge of our understanding of our users and customers and be a key contributor in creating solutions. As a player-coach, you will have a passion for developing and growing the individuals on your team while driving your own projects. Grow People and Team: Coach, manage and mentor the product analysts on the team. A competitive salary, benefits and an excellent working environment. An opportunity to build applications, which will be used by millions of people globally.